Two of my three favorite things in the world, women and wine, came together one recent fateful evening at Fleming’s Steakhouse in Scottsdale, Arizona. Their “Women & Wine” dinner featured three of America’s top wines, all of which are produced by, you guessed it… women. Like my recent five part series focus on affordable California Cult Wines, I’ve opted to give each of these fabulous females their time in the spotlight. The first winemaker needs little introduction for many. Cathy Corison is widely considered a pioneering presence for women in the Napa Valley. And boy, can she make wine. Corison has been a winemaker for more than 3 decades, putting her hand behind legendary names like Chapellet and Staglin during the early and mid 80s. She’s quick to point out that a strong support system has been essential to her success, attributing her husband’s work on equipment maintenance and bookkeeping as the backbone behind her accomplishments. Corison Winery’s inaugural vintage was in 1987, with a focus on elegant, finesse-driven Cabernet from benchland vineyards located between St. Helena and Rutherford. A great winemaker requires great vineyards to make great wines, and Corison is the first to acknowledge this. Her vineyards are composed largely of stony, alluvial soils. She explains that while these vineyards produce “some of the most concentrated and superbly ripened fruit anywhere”, her wine making philosophy is “traditional, using only small oak barrels”. It is her job to let the vineyards speak. They don’t just speak, they roar. 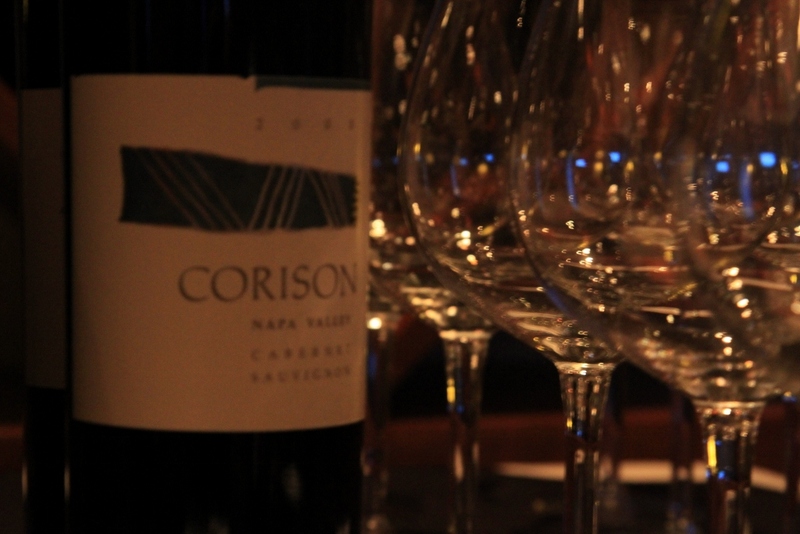 The 2000 Corison Cabernet Sauvignon from Napa Valley is a great example of Corison’s lofty reputation, currently showing at its peak with soft, elegant tannins and ripe, complex fruit. Hands down one of the best wines I’ve tasted this year, James Laube of Wine Spectator rated it a conservative 90 pts back in 2003. Like he suggested, the 2000 vintage was a tough one that would require 10 years to show its merits. If this wine is any indication, Laube is spot on. Luck for us, this and many other older vintages are still available from Corison’s Library Collection. Cathy Corison has raised the bar high for fellow females in the California wine scene. Stay tuned to see if the other two ladies featured that evening could live up to Corison’s legendary status. A modest 3,200 cases were made of this wine. Also still available in magnum format for $240, this is the perfect bottle to buy for anyone looking for a long term cellaring, “cultish” California Cabernet.